Whether it's classic poems and literature, ties to Philadelphia, spooky undertones, or a great performance that interests you, the Free Library of Philadelphia's celebration of Edgar Allan Poe's 200th birthday has something for you - and the whole family! The real party happens on Saturday, January 10, and Tuesday, January 13. Read about our free events below, and stop by Parkway Central to join the celebration and help us blow out the candles on the birthday cake! Attend a performance of renowned Poe impersonator David Keltz. Celebrate Poe’s birthday with cake, giveaways, and fun for the whole family. Watch an intimate portrait of Poe’s fiancée, Helen Whitman, performed by actress and National Park Ranger Helen McKenna-Uff. 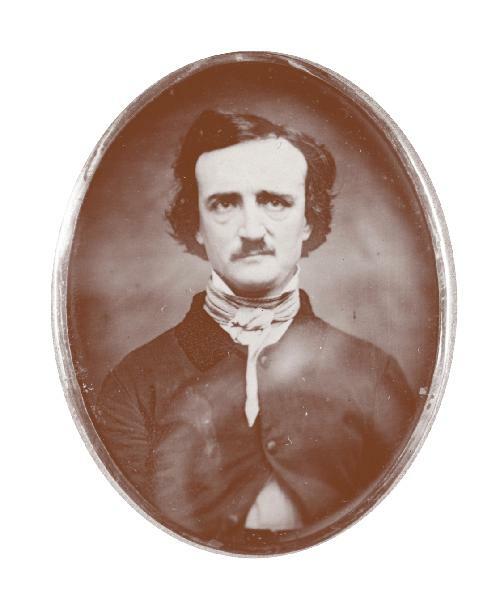 Inspired by Edward Pettit’s 2007 City Paper article, “We’re Taking Poe Back,” and recently covered by the New York Times, the event will feature representatives from cities where Poe resided. Participants will debate which city is most worthy of Poe’s remains, and Pettit will represent Philadelphia. The Rare Book Department in the Parkway Central Library is gearing up for a bash to celebrate Edgar Allan Poe’s 200th birthday. A special exhibition, Quoth the Raven: A 200 Year Remembrance of the Life and Legacy of Edgar Allan Poe, has been on display in the Rare Book Department since October and will run through February 13, 2009. Fans of the American Romanticism writer can tour the exhibit to see rare manuscripts and first editions, as well as Poe family heirlooms and Grip, Charles Dickens’ pet raven and the inspiration behind Poe’s most famous poem. If you're interested in learning more about Poe and his work, click here for a variety of resources that will help start you on your way. I still remember my introduction to Edgar Allen Poe. Reading the Tell-Tale Heart for the first time amazed me. I was so enthralled by that book. I might have to reread it as a way to "celebrate" his birthday.